Even though Santo Domingo is a large city of around 965,000 people in the metropolitan area, many of the main tourist attractions are located in the Colonial Zone (Ciudad Colonial). This makes it very convenient for a visitor since all of the sites listed here can be easily reached on foot with no need to take a taxi anywhere. Depending on your own pace and interest, all of these sites can be visited in a day or in a couple days. 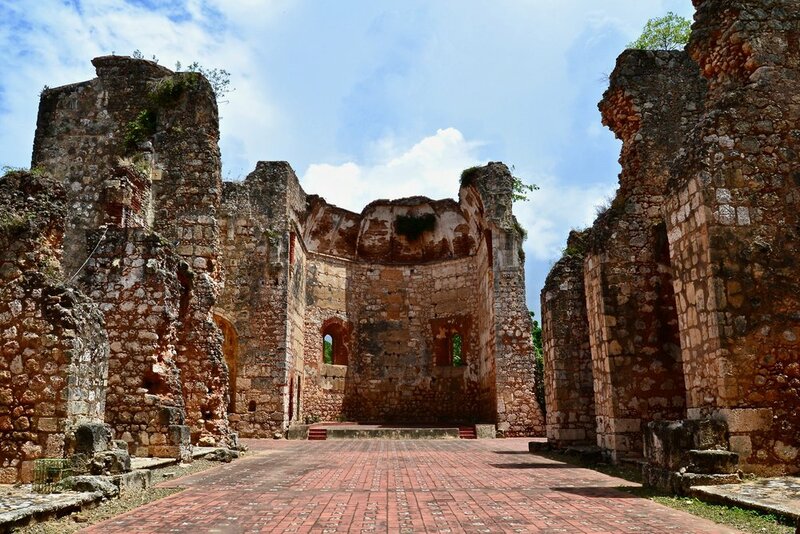 The Cathedral, which dates from the early 16th century, is in the heart of the Colonial Zone and is impossible to miss. The Cathedral is located in Parque Colon, but it is important to note that the entrance is not facing Parque Colon. It is actually on the other side. All one has to do is walk toward the traffic on Calle Isabel la Católica. There will be a sign pointing a curious visitor to the ticket office. It is permitted to take pictures inside as long as there is no flash. Since the cathedral has air conditioning, it is a wonderful attraction to sit in for awhile and cool off since the weather in Santo Domingo can be quite hot and humid. The National Pantheon of the Dominican Republic (Panteón de la Patria) is a large and imposing structure on Calle Isabel la Católica a little ways down from the Cathedral. While the building originally functioned as a church in the 18th century, it got turned into a national museum and shrine in the mid 20th century. Today, the building houses the earthly remains of many notable citizens of the Dominican Republic. There is no admission fee although if you would like a tour from one of the guides standing around the area, you can expect to pay. A visitor is free to take pictures, but I would recommend taking photos without flash lest the guards get a bit upset. 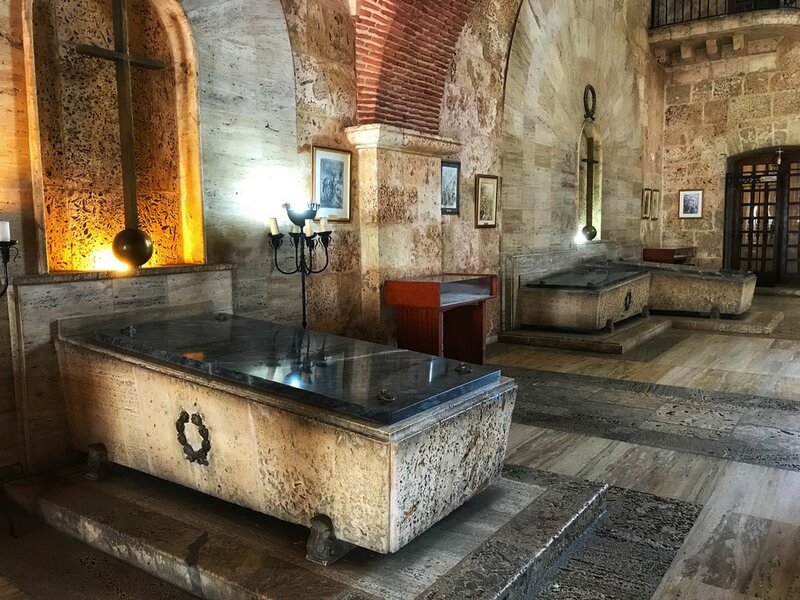 In addition to serving as a burial place, the National Pantheon also holds several display cases with copies of the Constitution of the Dominican Republic and other important historical documents. The Alcázar de Colón served as the home to Diego Columbus, whose father was Christopher Columbus, when he became the Governor of Hispaniola in the early 16th century. The structure houses a wonderful museum that includes many works of medieval and renaissance art including arms, armor, paintings, tapestries, and various other historical objects that gives a visitor an impression of what this place might have looked like during the time of Diego Columbus in the 16th century. This is a very popular tourist attraction, so it is likely to see many tour groups going through. However, if you prefer to do things on your own, it is possible to go through the home with an audio guide in different languages. 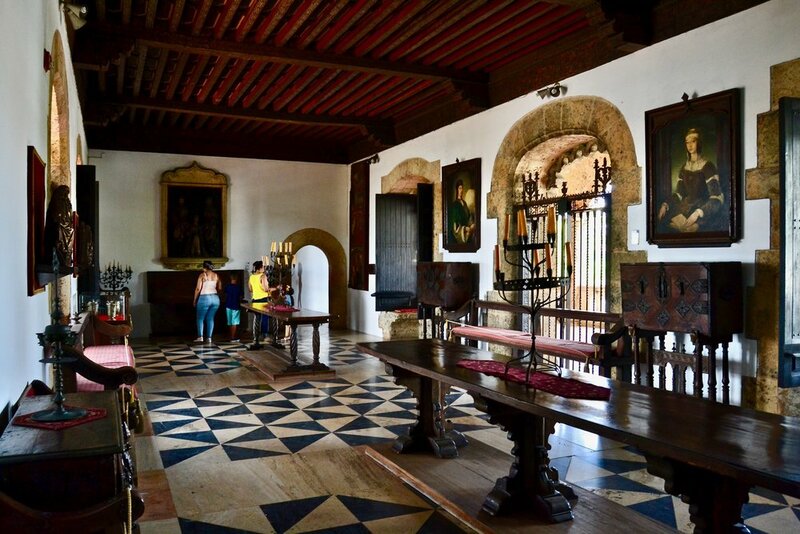 The Museo de la Casas Reales is literally a stone's throw away from the Alcázar de Colón and the National Pantheon of the Dominican Republic. Unlike the Alcázar, which served as the residence of the Governor of Hispaniola, the Museo de las Casas Reales originally functioned as the administrative center of the Spanish colony. The various rooms highlight how the colony of Hispaniola was run, and the museum has a large collection of art and various historical objects. 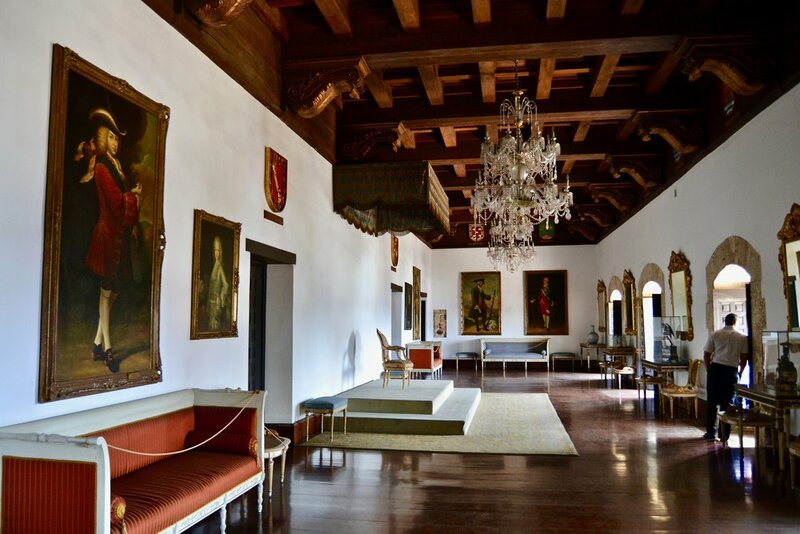 One can easily spend a couple hours wandering around the rooms and learning about the history of Hispaniola. The Altar de la Patria is a mausoleum located slightly outside of the Colonial Zone in Parque Independencia, but it can be easily reached by foot by simply walking west along Calle Arzobispo Nouel, Calle Conde, or Calle Mercedes. All of these streets will eventually lead to a large park that leads to the more metropolitan area of Santo Domingo. 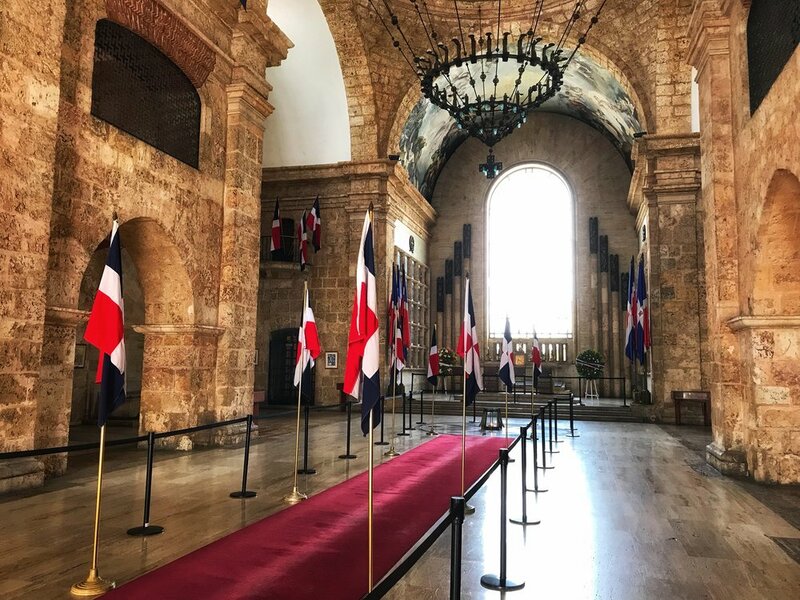 The Altar de la Patria sits in a large square with busts of notable figures in the history of the Dominican Republic leading up to the building. 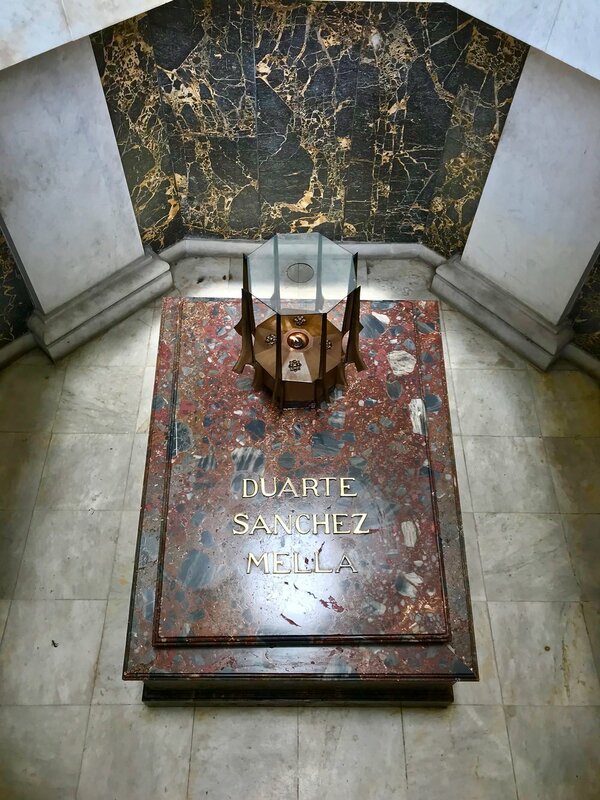 The mausoleum is staffed by an honor guard and houses the remains of the three founders of the Dominican Republic: Juan Pablo Duarte, Francisco del Rosario Sánchez, and Ramón Matías Mella. 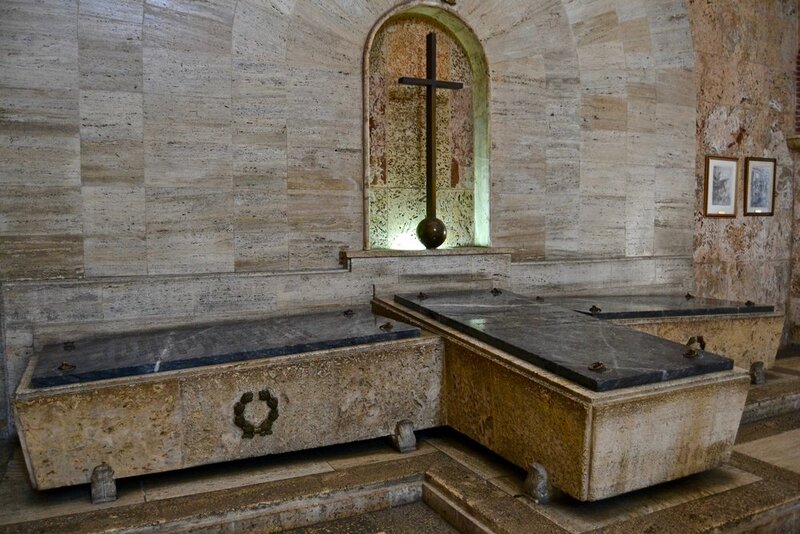 Their tomb can be seen at a lower level beneath the three statues. Fortaleza Ozama is a colonial fortress that was originally built at the entrance of the Port of Santo Domingo to defend the colony from enemies. Walking east on Calle Padre Billini will take you right to the entrance where it will be possible to find some private tour guides who will be happy to take you on a tour of Fortaleza Ozama and the rest of the Colonial Zone. There is a modest admission fee, and while all the rooms inside the fortress are completely empty, the view from the tower gives a beautiful view of the Port of Santo Domingo and the Colonial Zone. 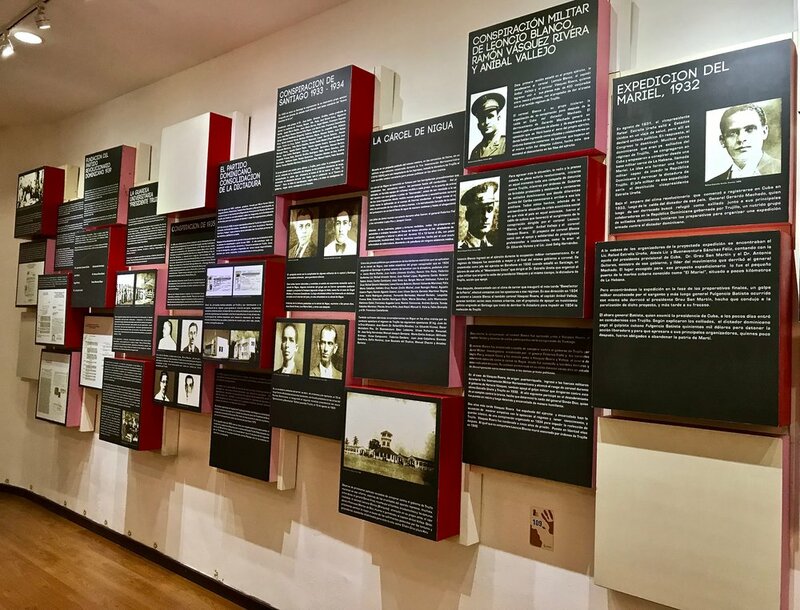 The Memorial Museum of Dominican Resistance is a small but interesting museum that is located very close to the Hotel Villa Colonial on Calle Arzobispo Nouel. The Museum tells the history and story of the men and women who opposed the dictatorship of Rafael Trujillo, who ruled the Dominican Republic for 31 years. The Museum is very well-organized and provides a vast amount of history. However, the text is all in Spanish; however, audio guides are available in various languages, so it is possible to follow along with everything. In addition to the permanent exhibit, the Museum also has rotating temporary exhibits. During the time I was there, a fascinating exhibit was in progress on the various dictatorships that were in effect throughout South America throughout history, and the countries' gradual move to democracy. I had previously not known that most of the countries in South America had gone through dictatorships. For me, this was one of my favorite places in Santo Domingo. 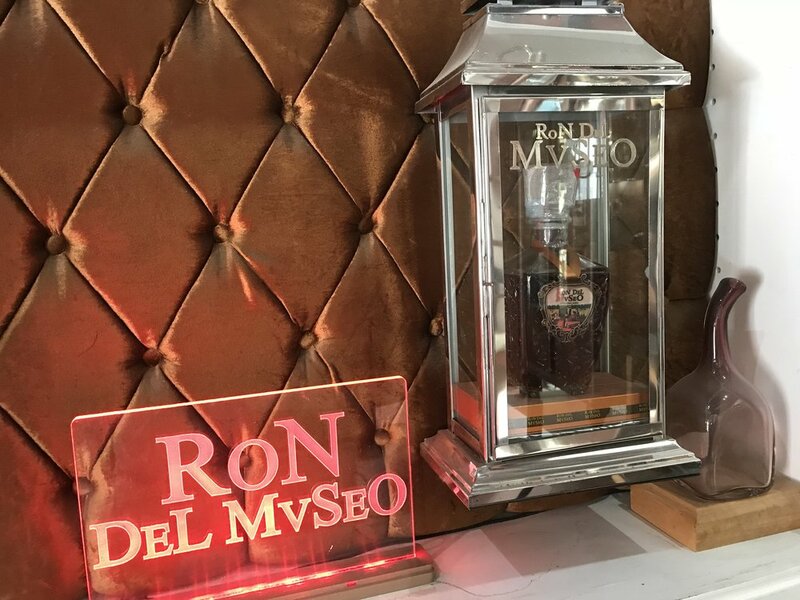 The Museum of Rum is a very small museum that is very easy to walk right past. In fact, I actually did walk past a couple of times, and I only noticed it when I just happened to glance at the sign. The Museum itself is very small, but it explains the story and history of rum in the Caribbean. 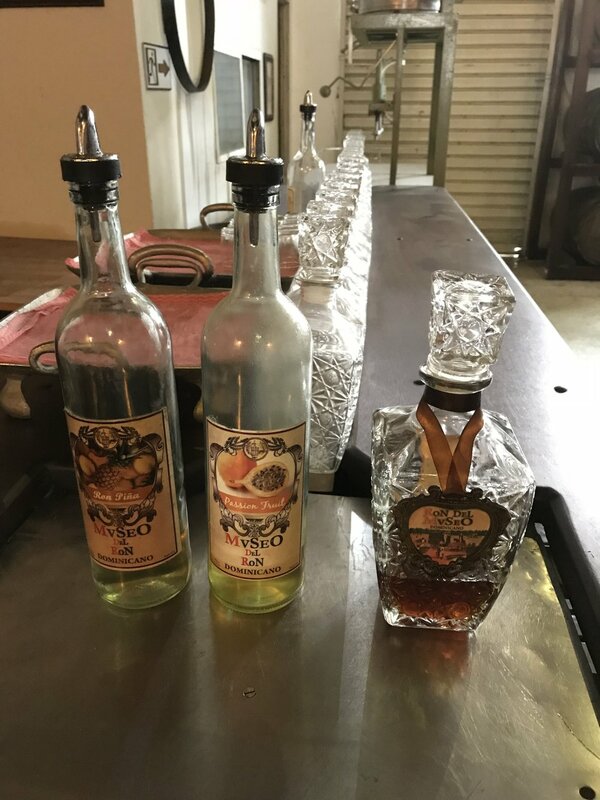 There is also a tasting room where one can try some different types of Dominican rum. This is a nice place to pop into for a quick visit and maybe even pick up a bottle or two of Dominican rum. The Monasterio de San Francisco (Monastery of St. Francis) is a 16th century monastery located in the northern part of the Colonial Zone. It was not possible to go in on the day I went, but it is an interesting site to see since the ruins are in relatively good condition. If one uses their imagination, it is possible to see what the church might have looked like before it was destroyed and descended into neglect. This is the heart and soul of the Colonial Zone of Santo Domingo. All visitors will eventually make their way to this area. The popular square is dominated by a large statue of Christopher Colombus and the Cathedral of Santa Maria de la Menor. The area is very lively with many private tour guides touting their services and music groups playing merengue. In addition, there are several restaurants that good places to stop in and do some people watching while taking a rest from the heat and humidity. I made a stop here after a busy day of sightseeing and was joined by a furry friend (see below photo) who wanted some food.